Percona Monitoring and Management (PMM) is a free and open-source solution for managing and monitoring MySQL and MongoDB performance. It provides accurate per-second analysis for MySQL and MongoDB servers, which allows you to tune the database as efficiently as possible. This session will also be a review of internal PMM architecture, an overview of all components, and the communications between them. 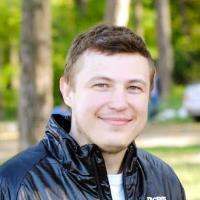 Mykola joined Percona in 2016 as a release engineer. He has been developing monitoring systems since 2004, and has been working as Release Engineer/Release Manager/DevOps for ten years. Recently, Mykola achieved an AWS Certified Solutions Architect (Professional) authentication.